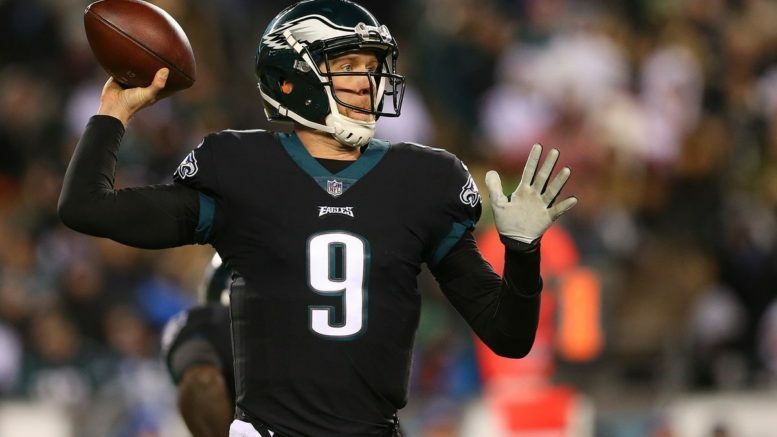 Can Nick Foles lead the Eagles to the Super Bowl against a Vikings team coming off a miracle win? Let’s go with the Jags here… to cover, that is. The Patriots usually have one close game in the AFC playoffs, although not last year. The Jags have proven they can win different types of games. First, it was 10-3, then it was 45-42. The Patriots are at home, as usual, as the AFC title game has only been played in two venues the last seven years, and New England has participated in every one. The Jags’ defense and run game will help them keep it close, but Blake Bortles is not going 3-0 to start his playoff career at Lord Brady’s expense. Leonard Fournette’s ankle is a question mark, and I can’t see Jacksonville consistently covering Rob Gronkowski (if they can do it flag-free then watch out because Gronk might try and give one of the defenders a concussion). In the end, it’ll be the Pats and their championship-starved Boston sports fans in the Super Bowl for only the eighth time in 17 years. It’s hard to believe they’ve yet to win championship games at Gillette Stadium in back-to-back years… until now. But they’ll (sort of) have to earn it. Pick: Jaguars (NE 23, JAX 17). #Bringithome? We’ll see. Don’t sleep on Philly, even without Carson Wentz. Were Wentz healthy, the Patriots may have a tough foe in the Super Bowl, but that’s not how things work for Boston sports teams. The Eagles will give Minnesota’s supposedly-great defense fits, but how can the Vikings not follow up with a win for an encore after last week’s miracle? The Vikes remind me of the 2003 Panthers; there are a lot of fun, eerie similarities. Both teams won by almost identical scores on long, walk-off touchdowns in the divisional round (29-23 for the Panthers at the Rams in 03). Carolina followed that game by winning the championship game in…? You guessed it, Philly. And they lost the Super Bowl to…? You guessed it, New England. And Case Keenum started every game as an unheralded, never-heard-of QB, after Week 1… just like Jake Delhomme. So can Minnesota do it? I believe they can, if only because Keenum has the moxie to make plays when needed, and I’m not sure Foles does. Philadelphia has a great defense and running game, so forget the notion of a blowout. But this feels like Minnesota’s time, at least until the aura of Boston sports intervenes. It’s the NFC, so anything really is possible, and the Vikings can become the 13th (!) of the 16 NFC franchises to reach the Super Bowl since 2001. That really is remarkable. Pick: Vikings (MIN 20, PHI 13). Be the first to comment on "Championship Game Picks: Same Old, Same Old?"